What makes the perfect intranet homepage? 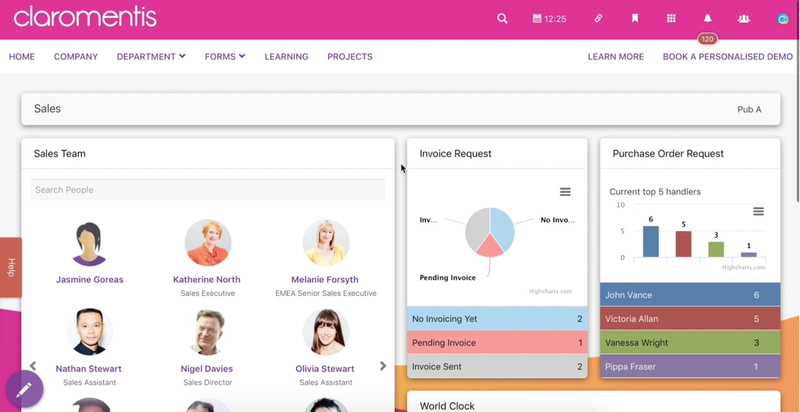 Is it an amazing intranet design? Engaging content? Up-to-the-minute company information? It’s a combination of elements and an understanding of your users’ needs that will determine the success of your intranet homepage. We dissect the anatomy of the perfect intranet homepage, along with some best practises and a few examples thrown in too! There’s always going to be areas of the digital workplace that your users visit more than the rest. 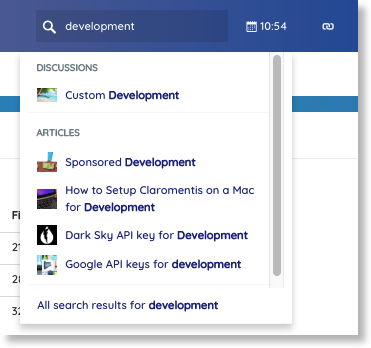 Reduce the time spent searching for these by adding Fast Access Buttons to your intranet homepage that link directly to the apps in question. This means staff can access what they need, such as company news, Slack, knowledge base, and more, with a single click. Users with the relevant permissions can manage their own Fast Access Buttons too, so that they can update their quick links whenever they want. The intranet has come a long way and much has changed since its inception a couple of decades ago. One thing that remains, however, is the importance of promoting company news, and there’s no better place than on the intranet homepage. Ensure that the news content itself engages staff by targeting it to the right users. Our drag & drop content management system allows you to personalise the content that staff see on their intranet homepage, so that they only view news that’s relevant to them. Posting urgent or time-critical announcements on your intranet homepage is a sure-fire way of making sure it will be seen by the masses. Quicker and more effective than sending an email, which can easily get lost or ignored in team members’ ever-growing inboxes, a homepage announcement delivers up-to-the-minute information, fast. One of the biggest benefits of intranet software (and there are many!) is the ability to communicate with your coworkers with ease. 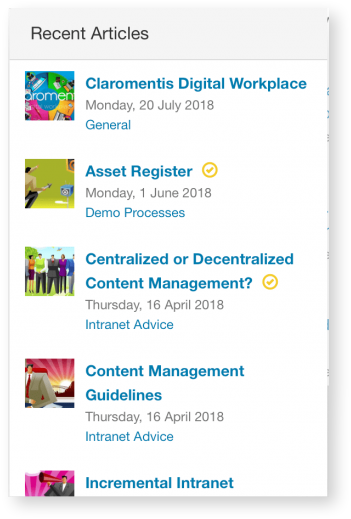 The intranet homepage is the perfect place to include a live discussion feed, so that staff can share ideas, post updates, and collaborate without having to navigate away to other areas of the system. We’ve mentioned it before, but we’ll mention it again – personalising the user experience is a great way to engage staff with information that’s relevant to them. Our content management system allows you to build multiple homepages for every team, keeping content targeted, fresh, and on-trend. Staff will keep coming back to their intranet if they know it’s tailor-made for them. UX research and consulting firm Nielsen Norman Group report that one of the biggest reasons for intranet failure is poor design. Lack of consideration for space, layout, and graphics can result in an intranet looking cluttered, risking important information being missed and putting off employees. When designing your intranet homepage, make sure to promote only key content to avoid information overload (personalisation can help with this! ), keep the layout clean and simple, and of course try to incorporate your business branding. This can include colour schemes, logos, font, messaging, and more. An intranet must-have is a prevalent search bar. Your staff need to be able to locate the information they require quickly, especially as the intranet grows and accumulates more data. An easily accessible intranet search engine is therefore an essential part of the homepage. The perfect intranet homepage is never finished. What works this week may not work the next, so you must strive to continuously improve the homepage in consultation with your staff. Have you or your content team written an amazing Knowledge Base article that’s just itching to be read? Give it the exposure it deserves by promoting it on your intranet homepage. Our “Recent Articles” widget automatically pulls in and displays the latest content, so that staff always see the most up-to-date information. 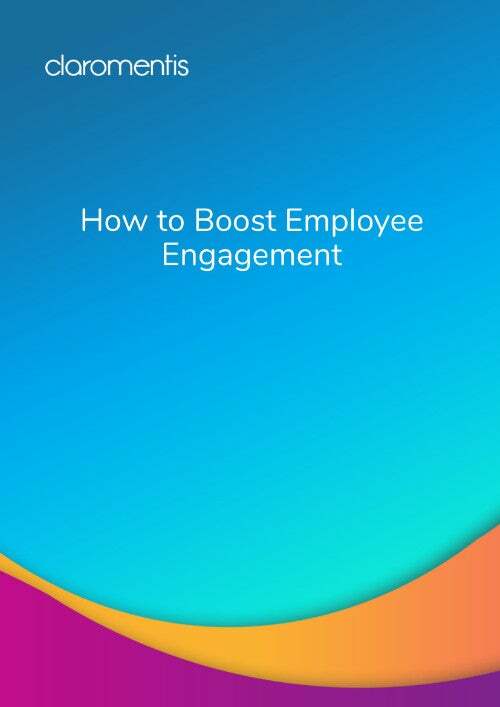 Company culture is a key piece of the employee engagement puzzle – so why not promote company events on the intranet homepage? Our “Upcoming Events” widget does just this, and keeps staff in-the-know about approaching team socials.